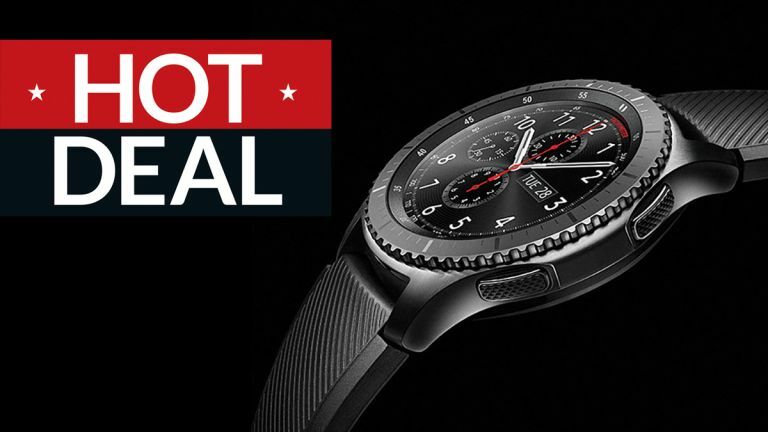 When it comes to wearables you've got a lot of choice for what to slap around your wrist, but the Samsung Gear S3 Frontier has to be one of the top options: detailed notifications from your phone, step and activity tracking, and built-in GPS to log your location even without a phone connected. If that sounds appealing, there's never been a better time to get the watch than Cyber Monday 2018. Argos has knocked a third of the price of the device, so you can pick it up for just £199 rather than £299.95. There's on-board NFC as well, so you can pay for coffee or a movie with a swish of your wrist, once you've configured Samsung Pay with your bank details. You might find you start relying on your smartwatch more than your smartphone. This is just one of many superb Cyber Monday deals we've spotted across the course of the weekend – check out our full deals hub for the latest discounts on laptops, phones, smart home tech and much more.